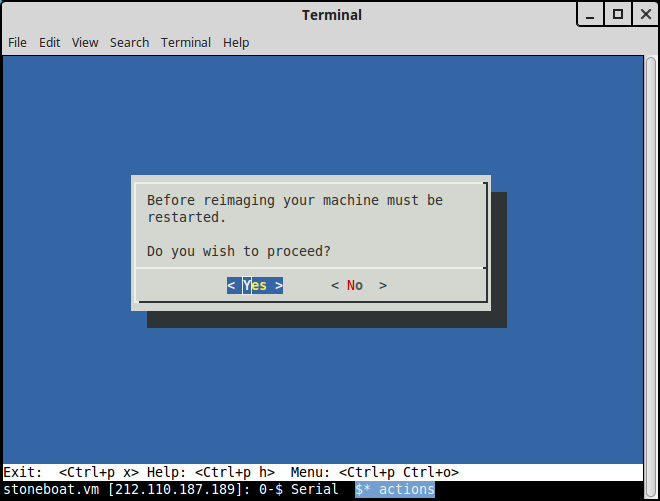 At any time, you may wish to reimage (reinstall) your machine. This action is irreversible and will mean that your machine will lose all data stored on it. The end result of a reimage will be that your machine is running a pristine installation. 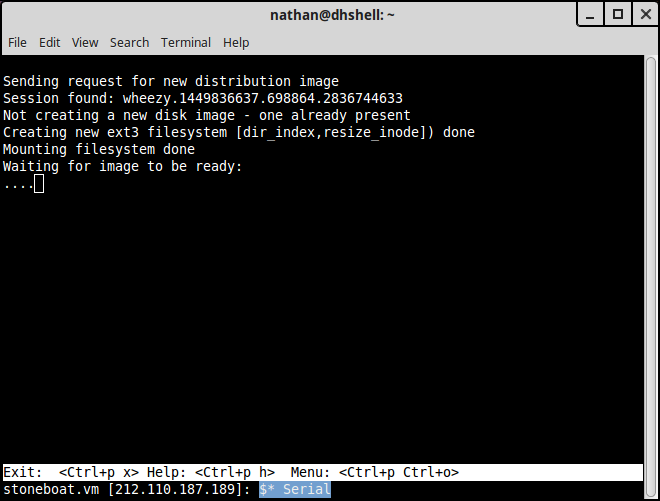 If there are local files upon your machine please ensure that you have them backed up prior to your reimage. 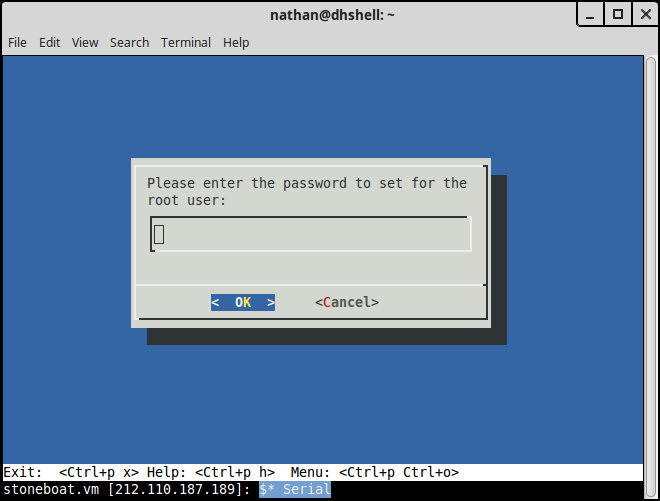 Once you’ve connected to your console shell you may begin the reimaging process by pressing Ctrl+p Ctrl+o to invoke the actions menu. From the actions menu choose ‘Reimage your machine’ and you’ll be guided through the process. While there are further questions, you need to confirm that you understand your server will be wiped clean. Pick whichever distribution you would like. 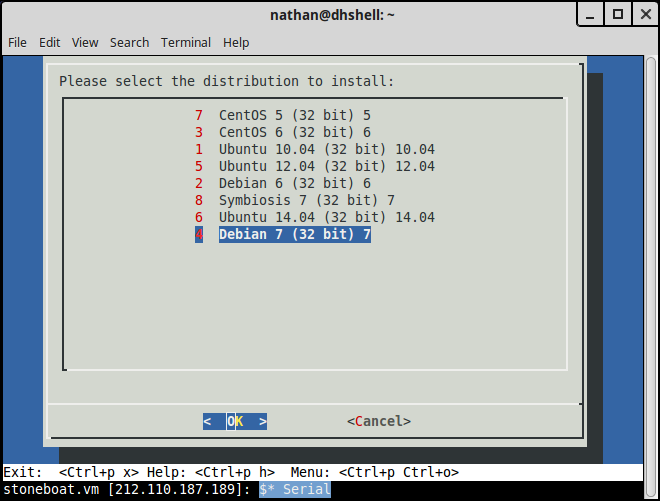 If you’re not familiar with Linux you probably want the Bytemark Symbiosis distribution. Once the process has completed, which will take approximately 5 minutes, your server will restart automatically.